U-Cut-To-Fit Stainless Steel Cable Wire 36 in. This simple, compact cable release kit will work with most door handle and latches, eliminating those bulky, rattling solid rod and bell crank systems. 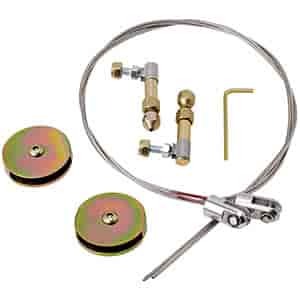 Kit includes a shielded pulley for a more direct pulling angle and U-Cut-To-Fit stainless steel cable with adjustable connection.